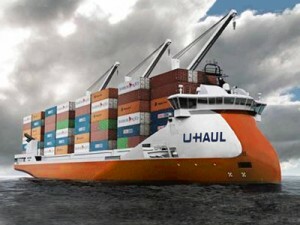 When moving to the South Pacific, you can’t just load up a U-Haul truck and drive there. Everything’s got to go by plane or by boat. This gets expensive, so you have to learn how to edit your possessions down to a bare minimum. So before we moved to Samoa, my family had an auction. We sold almost everything: the couch, the beds, the dishes and even the cars. All of it had to go. We’ve never had many heirlooms in my family, so that made it easier, but truth be told, it was hard. The most difficult part for me was the books. Back in the day, I was a huge Barnes & Noble junkie. I had so many books, heavy books that weren’t worth shipping to Pago Pago. These were books that I had spent $20-$40 on, with a resale value of a quarter a piece. Most of my material possessions meant nothing to me, but seeing my books sold by the bin was almost unbearable. It was difficult saying goodbye to my things, even though they were just things, but we did have an ace in the hole. We had an auctioneer. All we had to do was get up early and help him and his staff drag everything out onto the lawn. Then we could head out for a few hours, return to an empty house, and pick up a check. Don’t get me wrong, it was still pretty hard, but at least I didn’t have to see my favorite book sell for a dime. I didn’t have to worry about the breakdown, just the final value. Even if you’re not moving overseas, I’d recommend regularly selling your worldly possessions. It’s just stuff, after all. The real pleasures in life come from people and experiences. So every time I’m tempted to buy more stuff, I think of the auction and remember what’s truly important in this world.